Highlights:Well played game, the girls fought hard and well. Great CYO spirit! After the end of the second quarter, Valley Catholic had a run of 7 points ending the quarter 11-4. Both teams had a high scoring fourth quarter with four points per team. Q3: 23 – 23 Tied at third quarter! 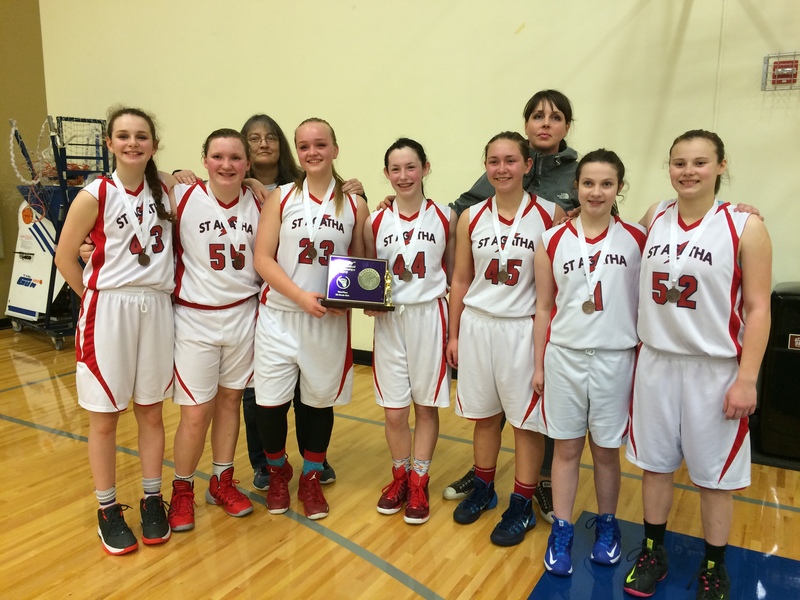 St. Agatha led the first three quarters by a small margin. Holy Family stayed close and tied the third quarter with less than a minute to play. As in most games, the fourth quarter was the game, both teams inspired by the final 8 minutes of play. The lead changed a few times before St. Agatha went ahead by three with 1 minute left to play. Holy Family had several opportunities to reclaim the lead including several free throws in the last 45 seconds but missed three of four. 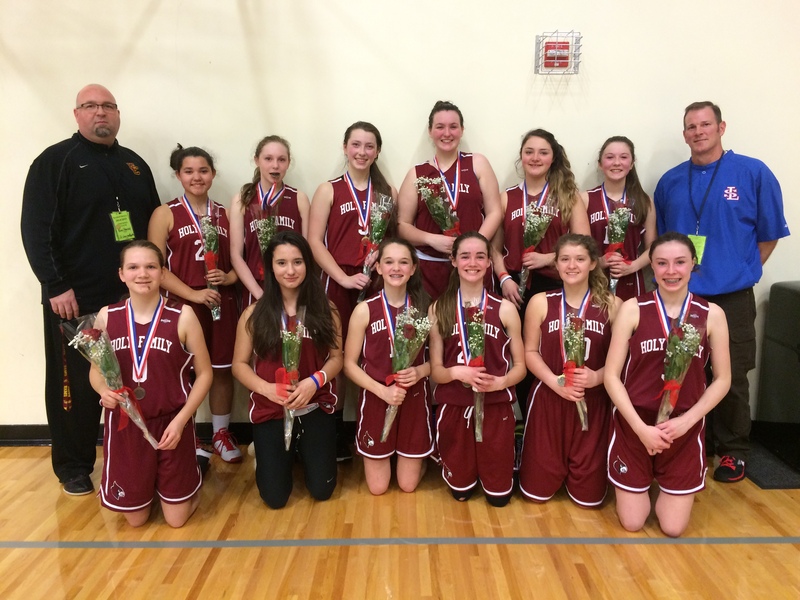 St. Agatha won 30 – 28.